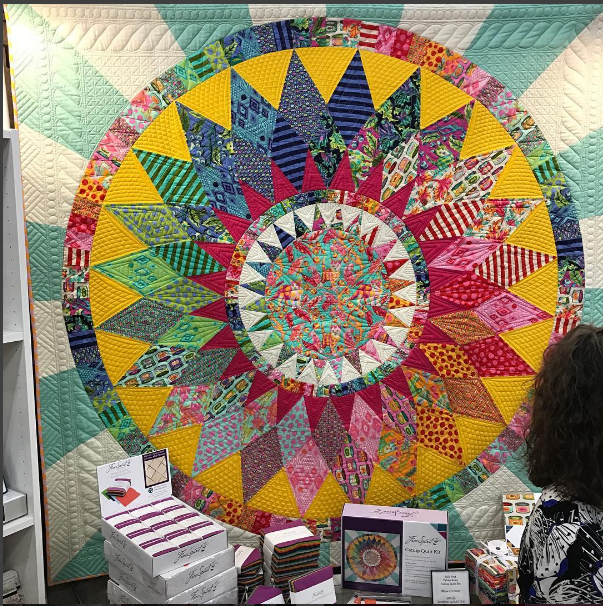 This past Quilt Market in St. Louis looked like a fun one. I wasn’t able to attend in person but I did have a plethora of quiltings hanging throughout. Today I want to show you my latest for Timeless Treasures and Dear Stella. 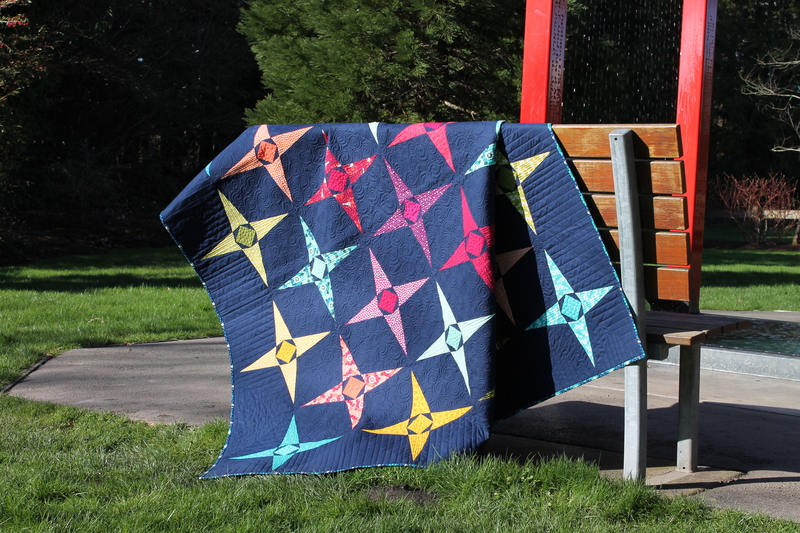 Each quilt has a free pattern attached to it. 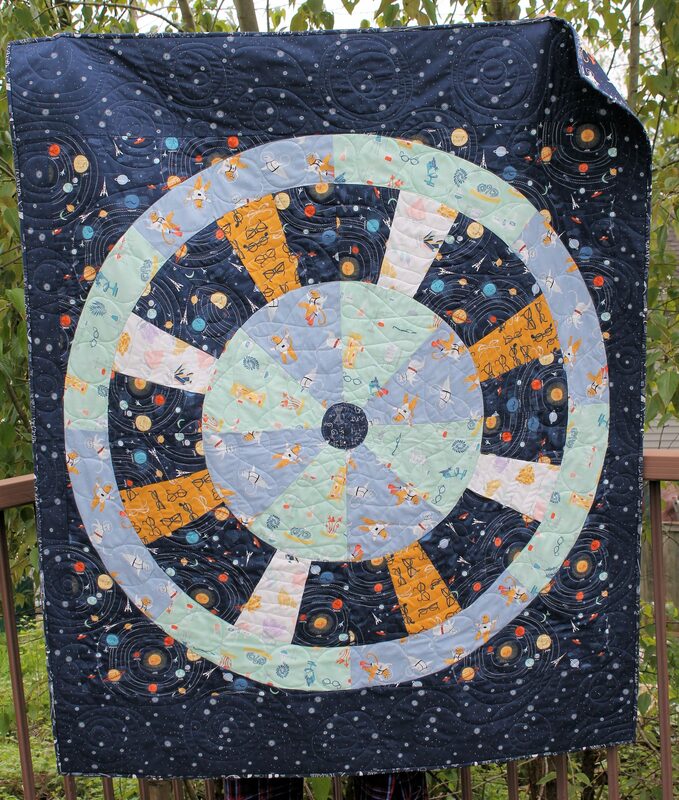 First up, and probably my favorite, is the Space Station Quilt for Supernova by Rae Ritchie. I love Rae’s design style and it is always a pleasure to work with her prints. My older son helped me pick the fabric placement for this one. He loves space and one days he wants to be an astronaut/karate kid/hockey player. This quilt gets to live at home with us. 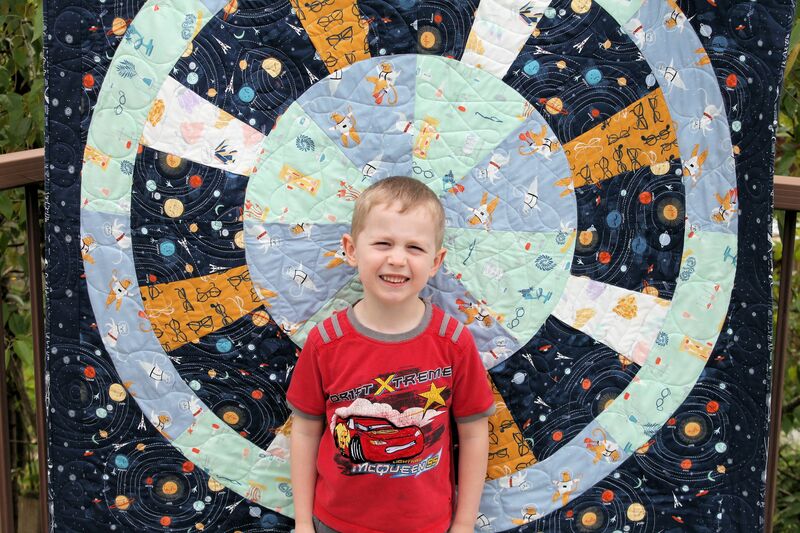 HE was absolutely thrilled when “his” design was picked for the collection, and doubly so when he saw the finished quilt. The pattern is available HERE from Dear Stella. 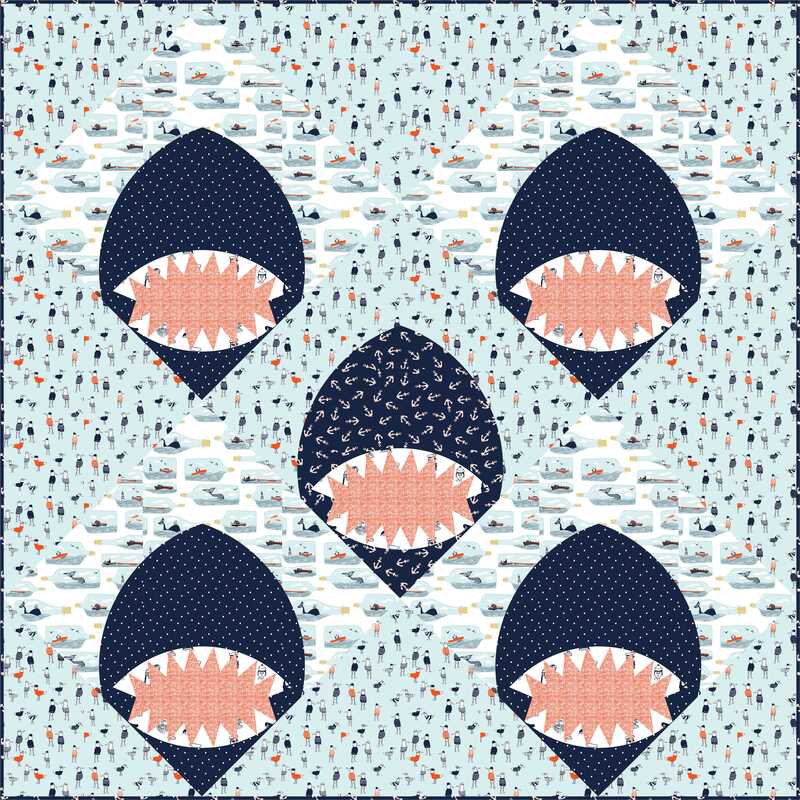 Next is the pattern CHOMP! for the Dark and Stormy Collection I just LOVED the sea theme and immediately thought of sharks popping out of the water. During the process I am pretty sure my family managed to come up with more than a dozen unique shark puns as name suggestions for the pattern. The shark teeth can be made 3D or pieced. I thought it was clever to use the pirate head print for the teeth. Tee hee! You can find the pattern HERE. 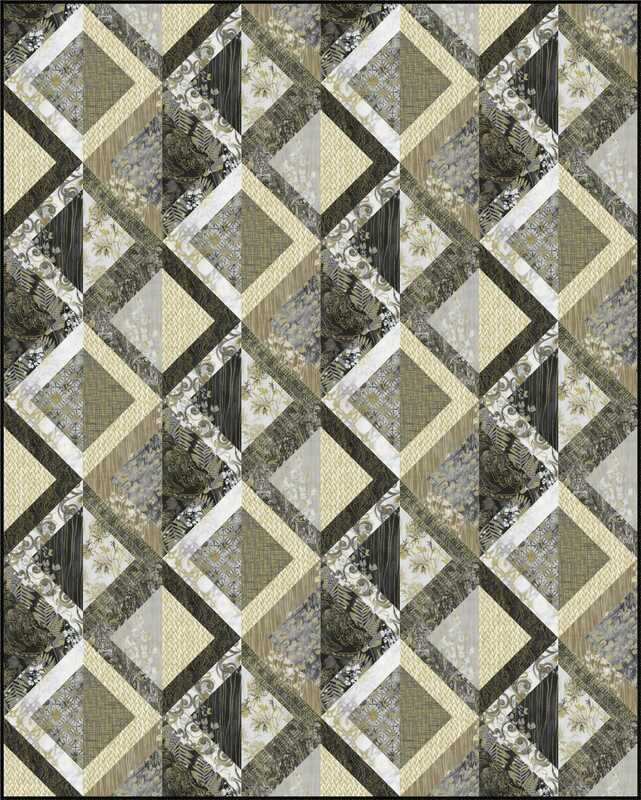 For Timeless Treasures I got to play with a more traditional collection, Zephyr by Alice Kennedy. There are 22 neutral and greyscale hues in 15 unique prints. I loved how they all played together, and the varying levels of contrast meant I could create a lot of depth and texture without adding color. 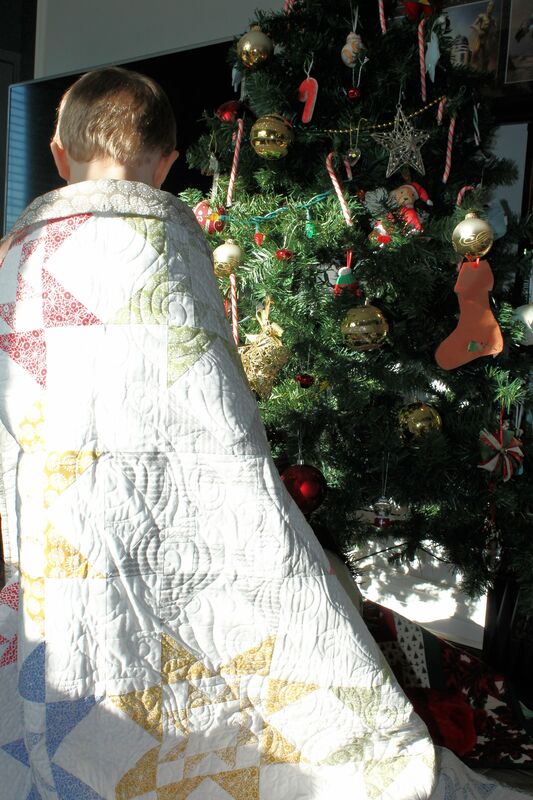 The first quilt, Halo, is my favorite. I grew up in northern Alberta and at night, with the moon shining brightly, you could often see (what we called) “moon dogs” haloing the moon. 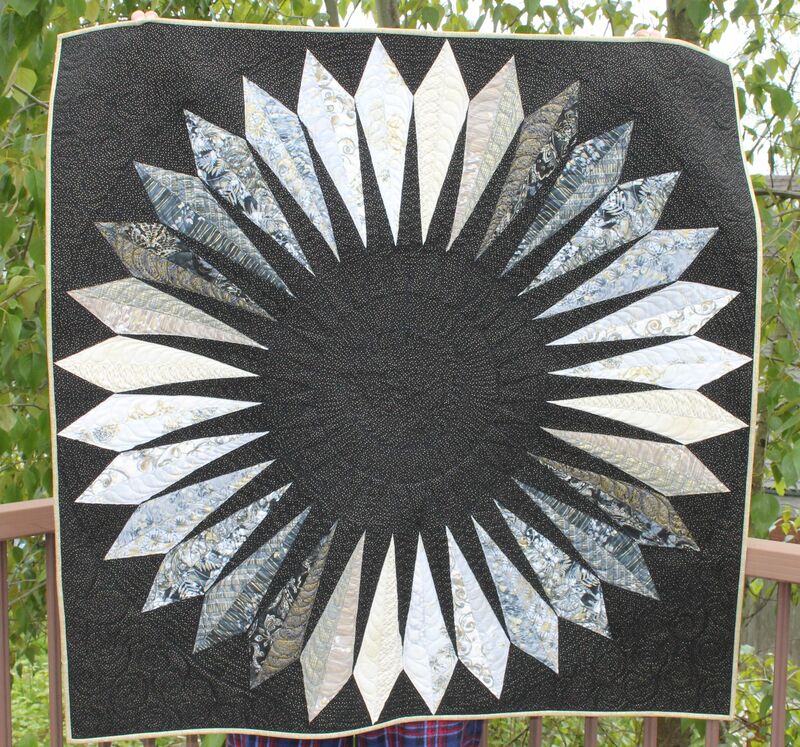 The shimmering ice crystals were my inspiration for this quilt. You can find the pattern HERE. 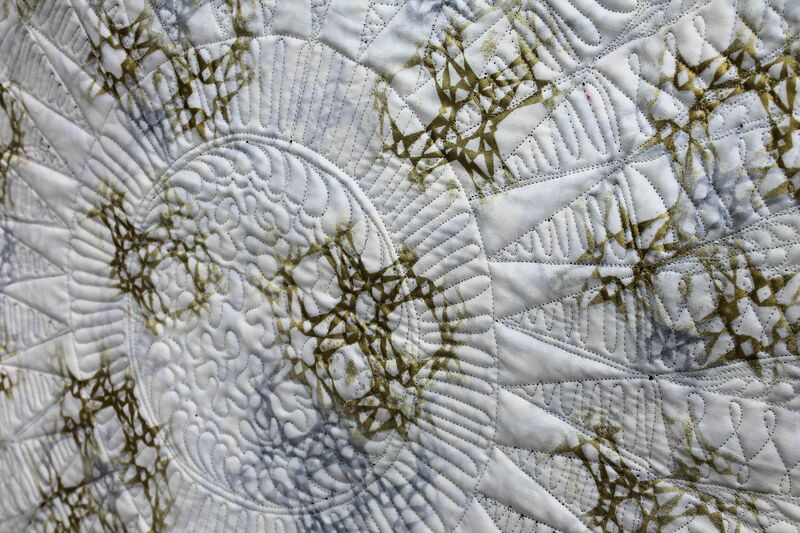 The second quilt, Marbled, I wanted to play with simple shapes that make a complex texture. 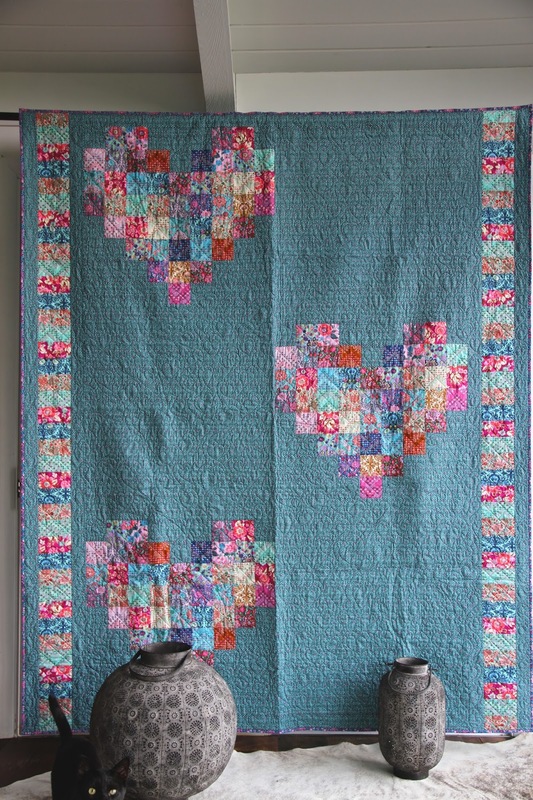 I wanted a tile wall-inspired flow and form to the quilt. Pretty sure I succeeded with that. You can find the pattern HERE. Next week I will showcase more Market pieces. 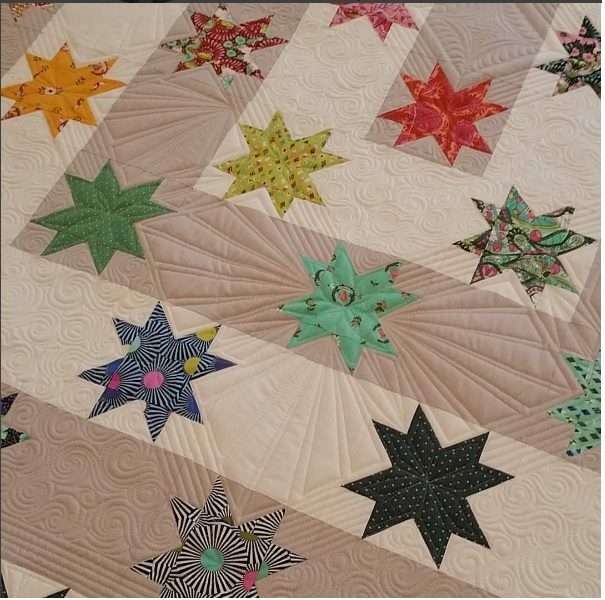 Quilt Market wrapped up this past Monday, and in between basement reno’s and Halloween prep and a family visit, I found some time to follow along on Instagram and check out all the new awesomeness that was released. 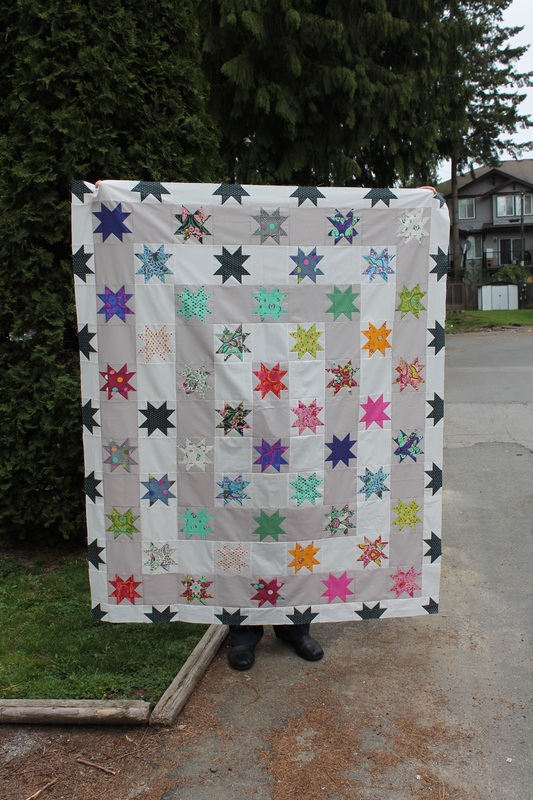 I was also stalking patiently to see pictures of the quilts I made for Market. I have been sitting on my hands waiting patiently for the official release so that I can show off my new designs. I LOVE the new collections, and and super excited and happy with how everything turned out. My sewing room is finally set up the way I want it, and that includes the home for my new longarm! That’s correct, I am now the proud owner of a Tin Lizzie Apprentice. I love my machine! She still needs a name (if I go that route, which I likely will). 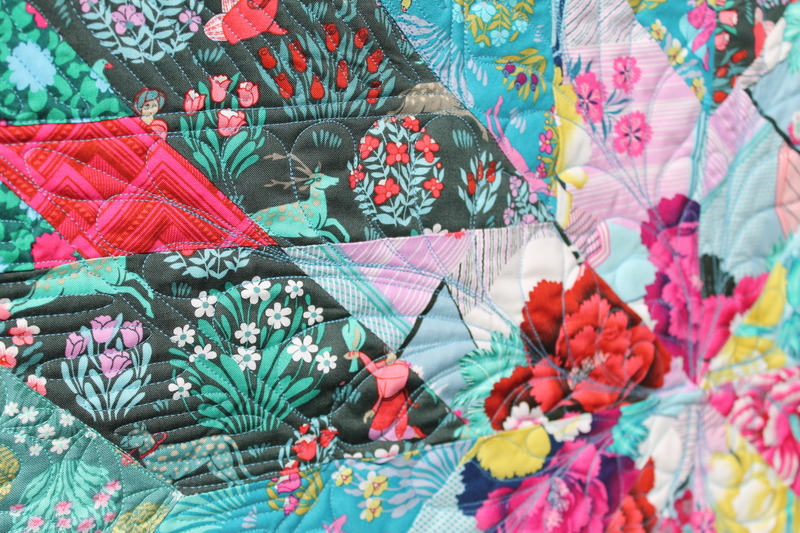 She stitched beautifully and works with my favorite threads – Glide and Aurifil – without issue. The best part is now I don’t have to get a quilt done all in one sitting! 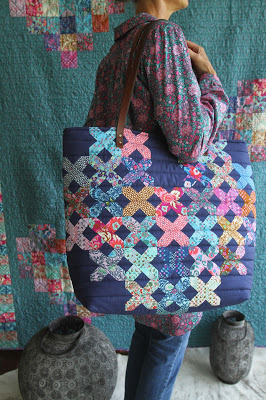 I have been getting more creative with my quilting as a result and I am seriously excited as all heck about the future. I can see it getting a lot more productive around here! 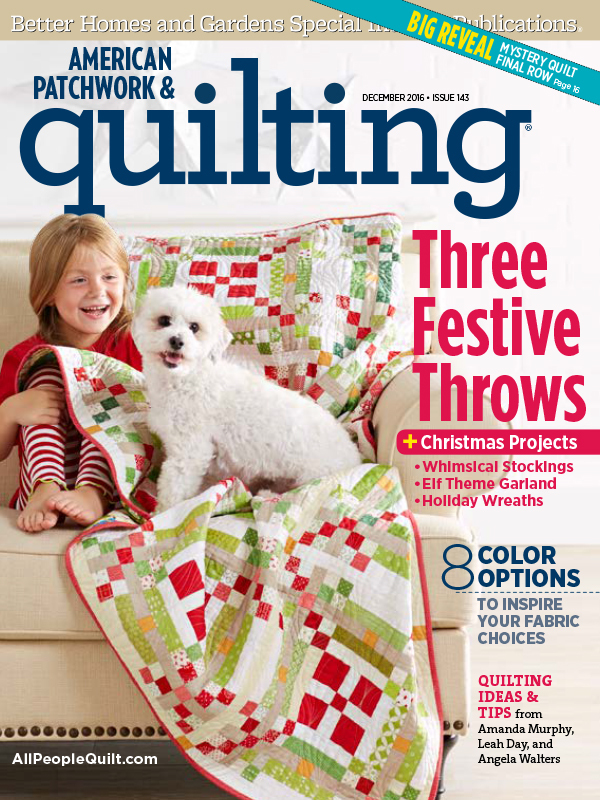 Now it’s time for quilts! 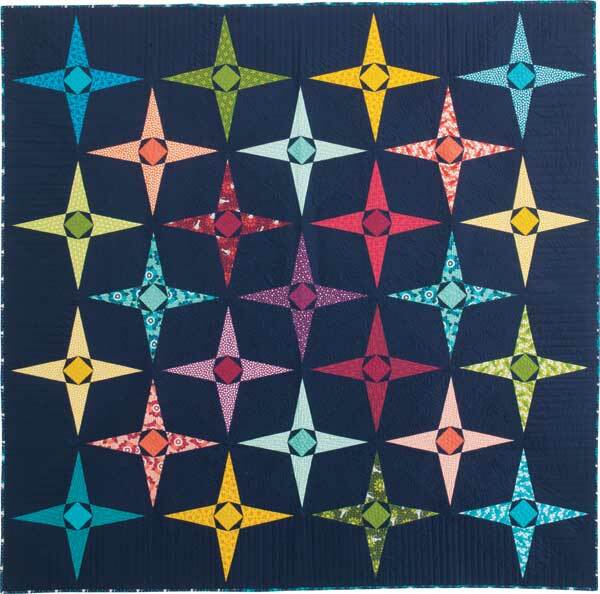 Fleur-de-Lis is an applique quilt using Joel Dewberry True Colors. 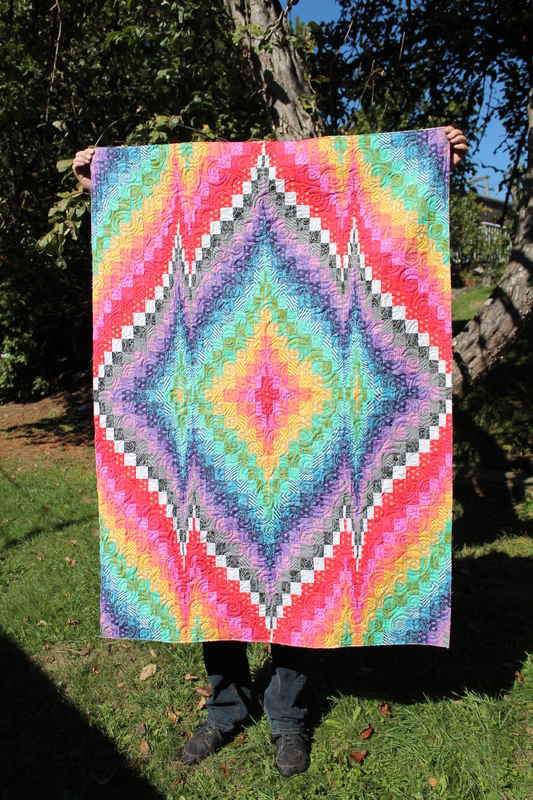 It was a gloomy rainy day when I finished this one up, but @freespiritfabrics has a great picture on their IG account. I quilted it with the extended piano key on the outside borders, and an all over stipple in white Glide between the applique pieces. 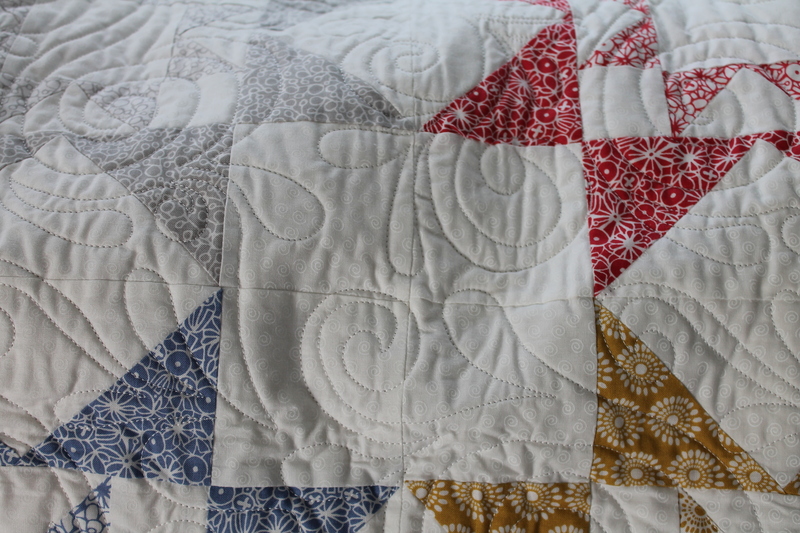 I outlined each piece in a matching Aurifil thread to quilt. 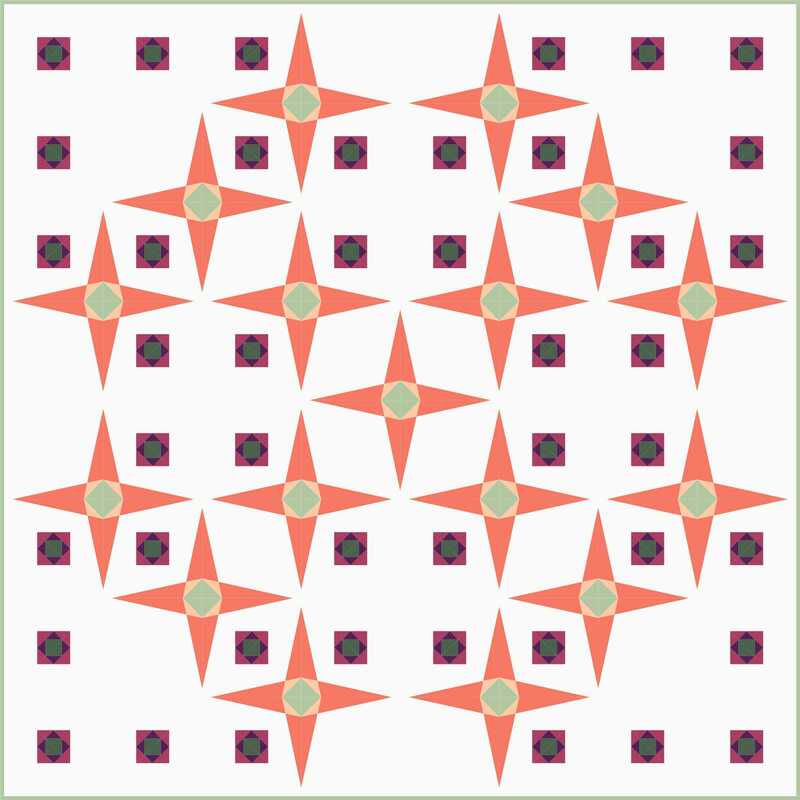 This is going to be a free pattern from FreeSpirit Fabrics. 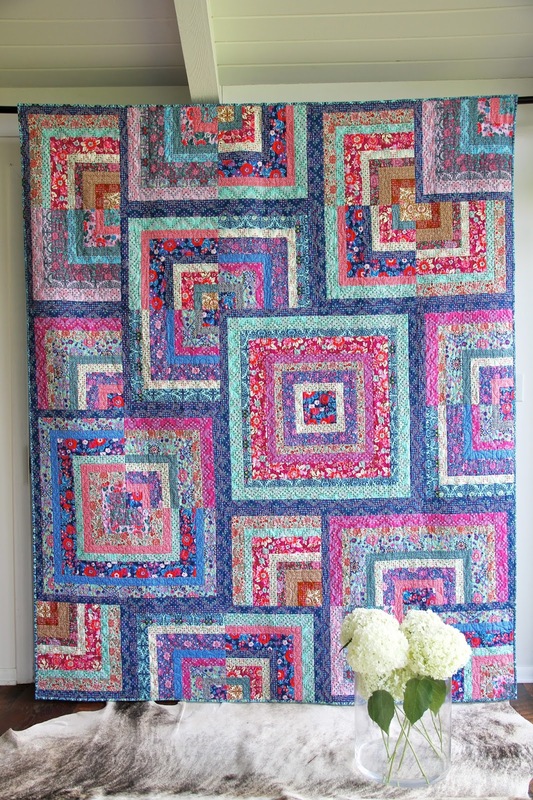 Next up is another True Colors quilt using Tula Pinks collection of prints. This one is going to be a Craftsy kit. It was hanging front and center in the FreeSpirit Gallery at market, what an honor! 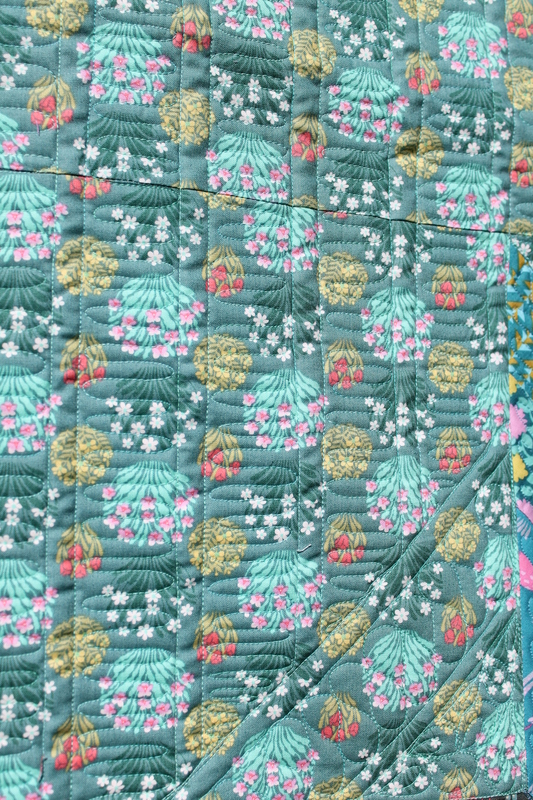 I quilted it with an all over swirl in a pretty aqua thread. The aqua pretty well went with everything. 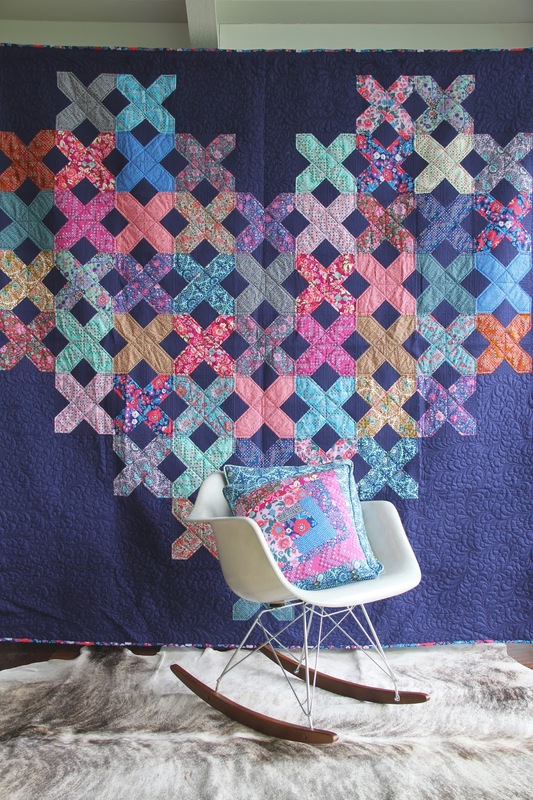 And then there were two quilts for Amy Butler’s new collection, Splendor. 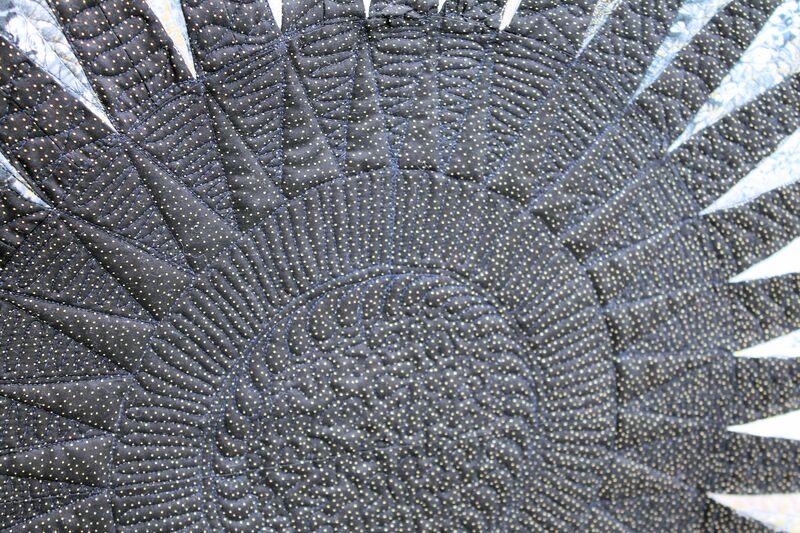 Zen Garden was designed by myself and sewn by Kerri Thomson. Clematis was quilted on my Lizzie, and I am so proud of it! I was able to take mytime over a couple evenings and really get creative with my quilting. 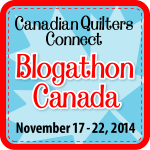 Clematis and Zen Garden are both going to be free patterns. 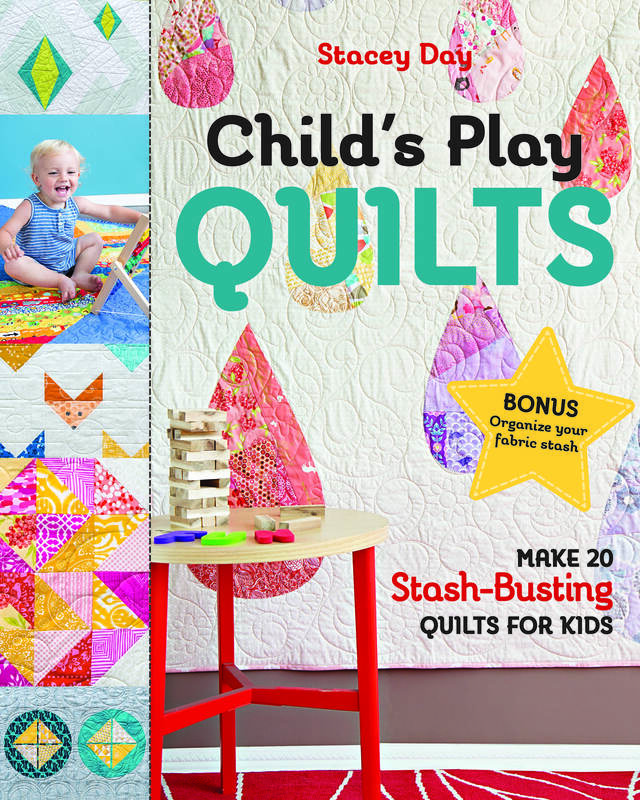 These are the mini versions of the quilts, just wait until you see the full size! I haven’t shown a full size of Clematis because it wasn’t actually pictured yet, but once it’s been released, I will. 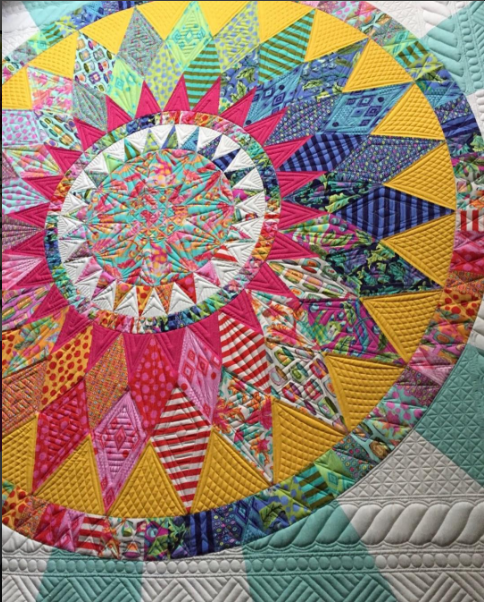 But sneak peeks of the fabric have been posted to Amy Butler’s IG feed, so I can share the quilting details. These are slated to be free patterns as far as I know. A big thank you to Amy Butler for choosing my designs! 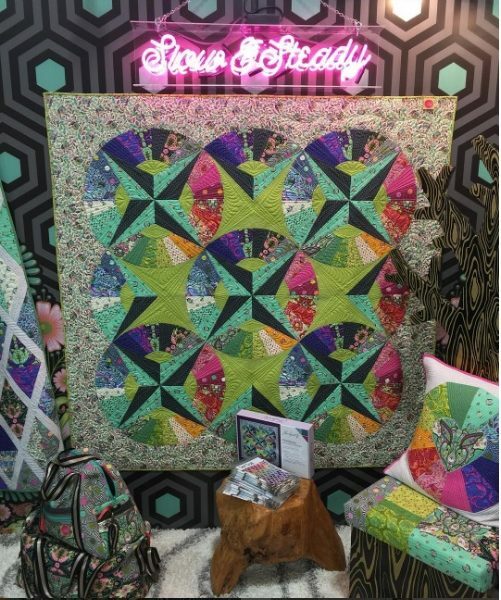 Finally, I am super pleased to share the Catnip quilt, which is a collaborative design between myself and Tula Pink for her new collection, Tabby Road. 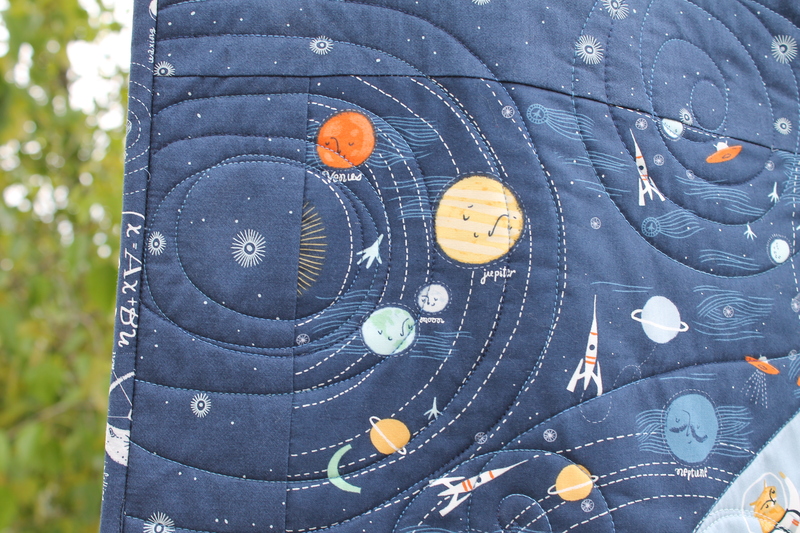 I am not entirely sure who did the quilting on it, either Angela Walters or Tula herself, but it is fantastic! Tula pieced the quilt. 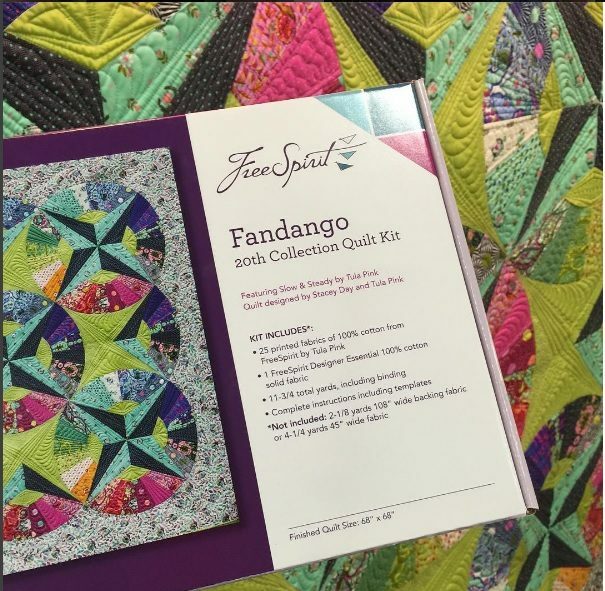 This quilt is the new exclusive quilt kit, which will be available from your local quilt shops and online retailers in March 2017, which is when the collection hits the stores. I already have a full yard bundle on pre-order! 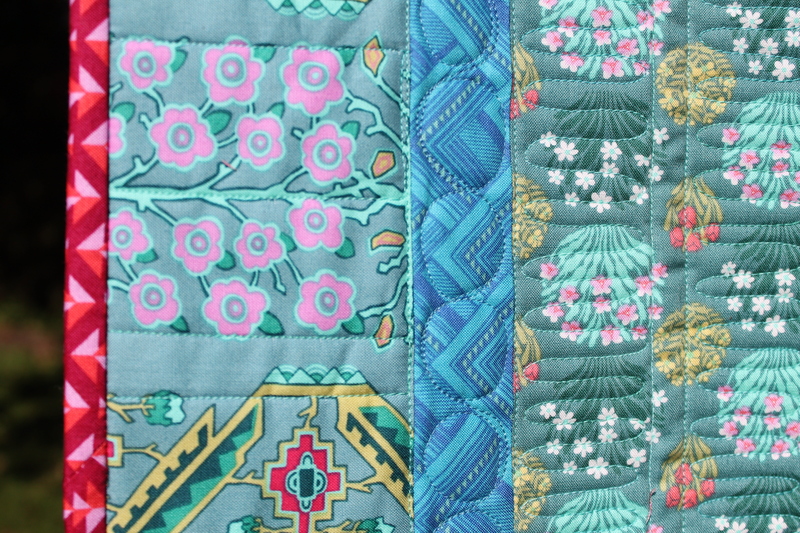 There are going to be a couple more quilts for this collection eventually, so I will keep you posted. 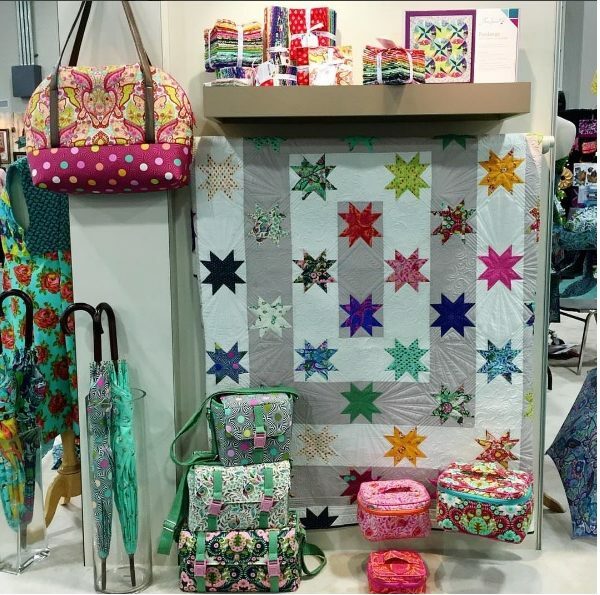 So, I didn’t make it to quilt market this spring, but a few of my designs did! 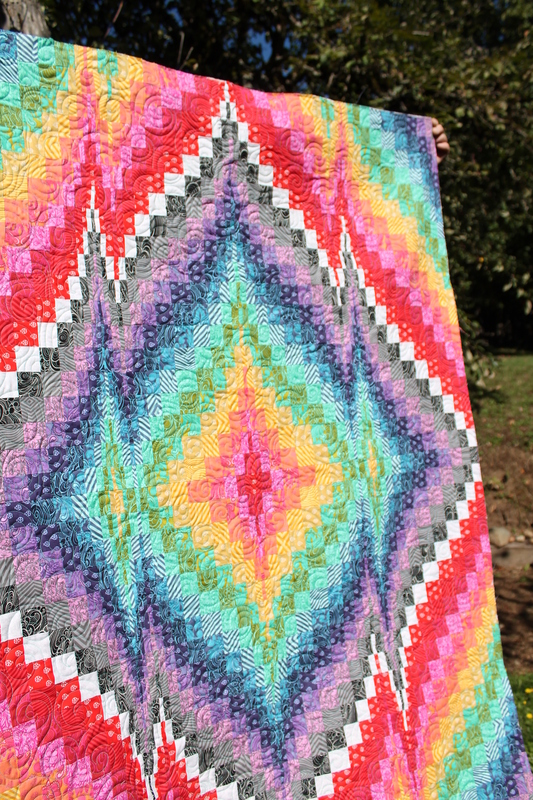 I have been sitting on these quilt design for months, and its been driving me crazy because I love them SOOO MUCH! When FreeSpirit asked me to design with Tula’s upcoming Slow and Steady line I of course said (in a calm and professional manner) YESSSSS! I submitted a handful of designs, and they were given to Tula herself for approval. She liked them a lot, and made a tweak or two with color placement in the approved designs. She really is a genius of color, and I found the collaboration to be eye opening and inspiring. She is also a genuinely super nice person. I would buy her fabric based on that alone if I didn’t also love it so much. Then the good news came that they wanted one of the designs for a kit. I didn’t clue in until the market photos started popping up that it was one of the amazing pre-cut box kits! HOLY COW! Seriously, thank goodness for social media, otherwise when would you ever find pictures of stuff! 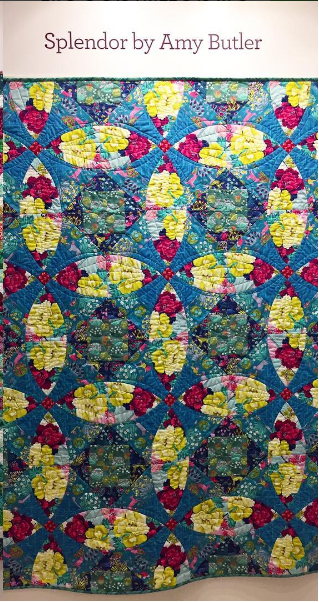 Yay for Instagram and a huge thanks to @swimbikequilt, @angelafmq, and @tulapink for posting photos. 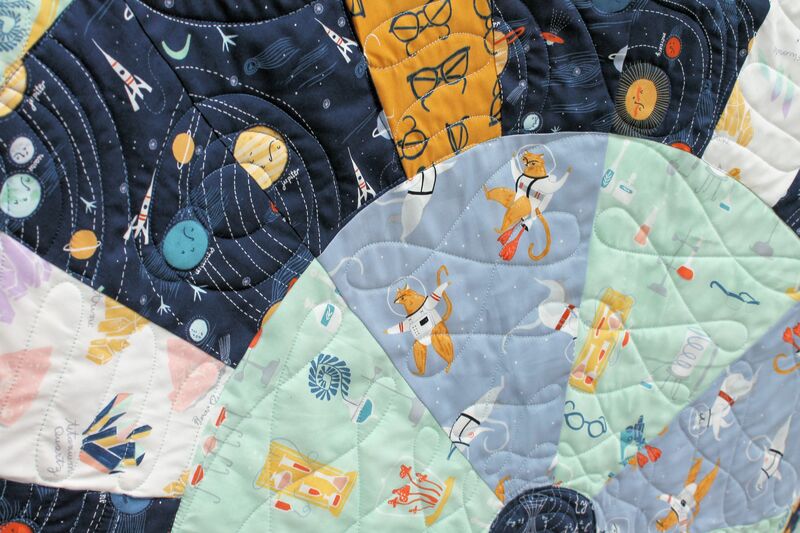 Then there is the lovely Wall of Fame Quilt. 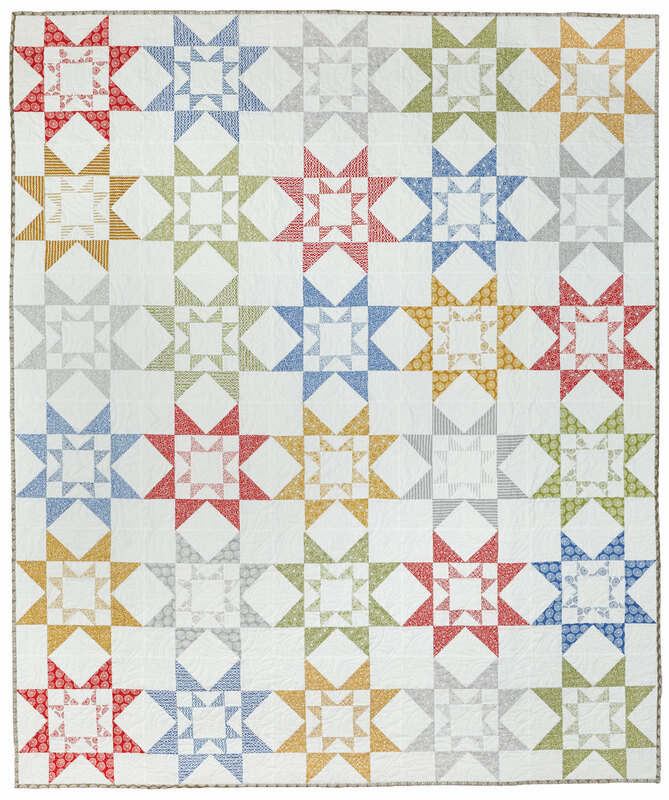 This quilt is to be a free pattern download from FreeSpirit Fabrics. 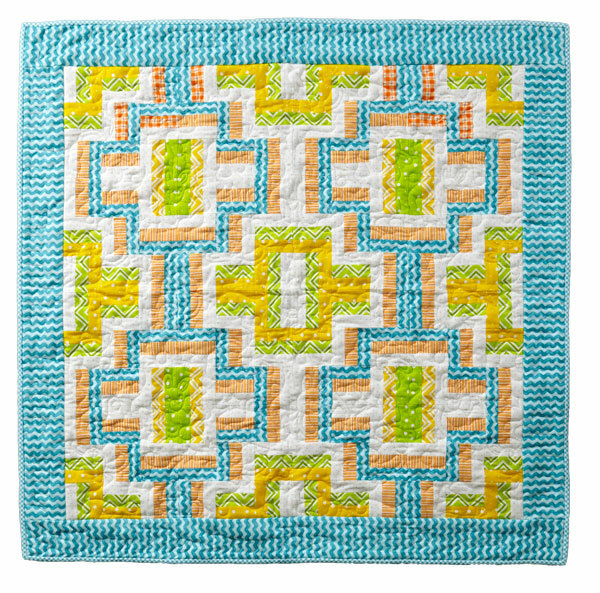 I will link to it in my patterns section once it goes live. Pieced by myself, before Angela got her talented magical hands on it….. Hanging in the FreeSpirit booth. So many gorgeous projects. Check out those Umbrellas! There is one more project that I made for this collection, but it is heading someplace else. I cannot wait to share it with you! 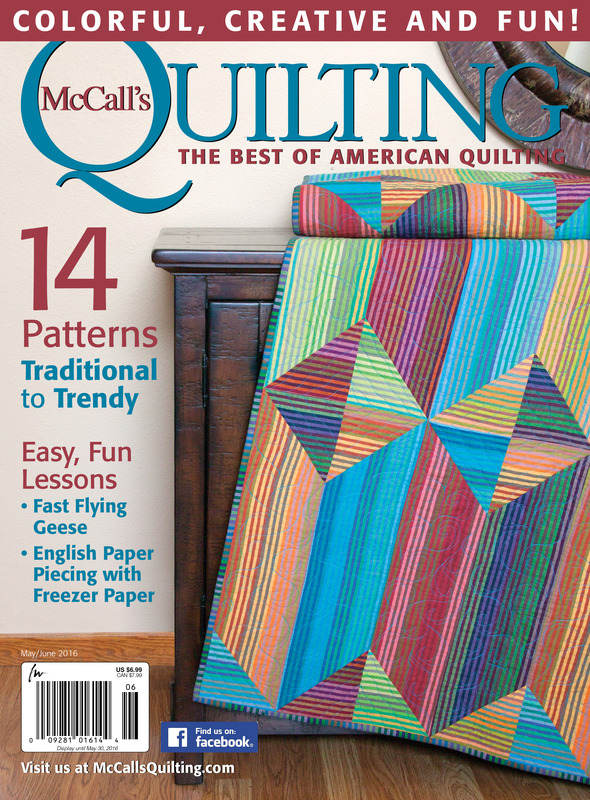 Now that it’s May, I can introduce a new quilt pattern that is in the McCall’s Quilting May/June issue. Northern Lights started life as a QDAD design. 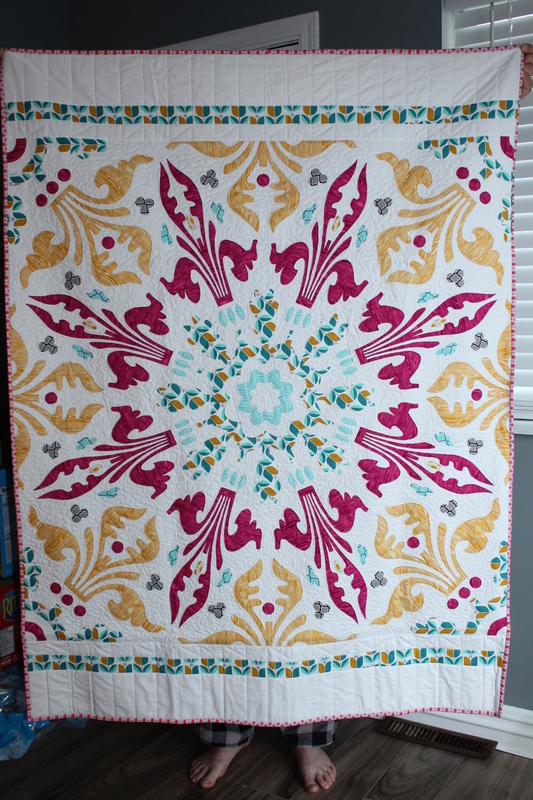 When Elizabeth Hartman released Rhoda Ruth (her very first fabric collection with Kaufman) I just ADORED it. And still do. I love rich, vibrant jewel tones, and since my good friend Anne introduced me to the joys of navy as a background, I love them even more! I knew when I saw it that I just HAD to make something with Rhoda Ruth and started digging through my files. I landed on this beauty from Aug 30th. The inspiration photo was a bunch of root veggies-carrots and radishes I believe. As you can see, the final design took quite a departure from the original. It took a couple versions to get the paper piecing just right. I REALLY wanted to have the chevron shape at the end of the point, instead of just a straight across piece. Would it have been easier? Yes. Would it have looked as stellar as it does now? Not a chance! I wanted to try and showcase as many of the Rhoda Ruth prints as possible, for the most part because I couldn’t narrow them down much, and then paired them up with the coordinating Kona Solids. 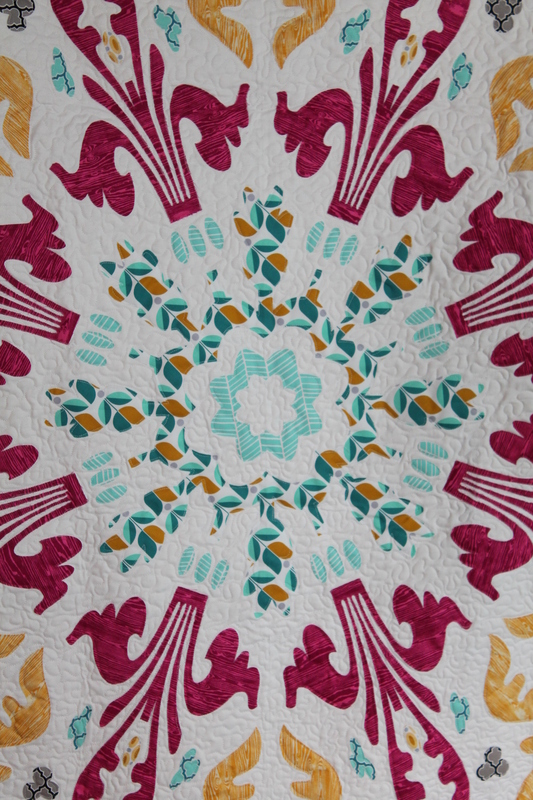 The quilting took me a while to think of, but I finally went with a combination of freehand designs that really made the quilt pop! 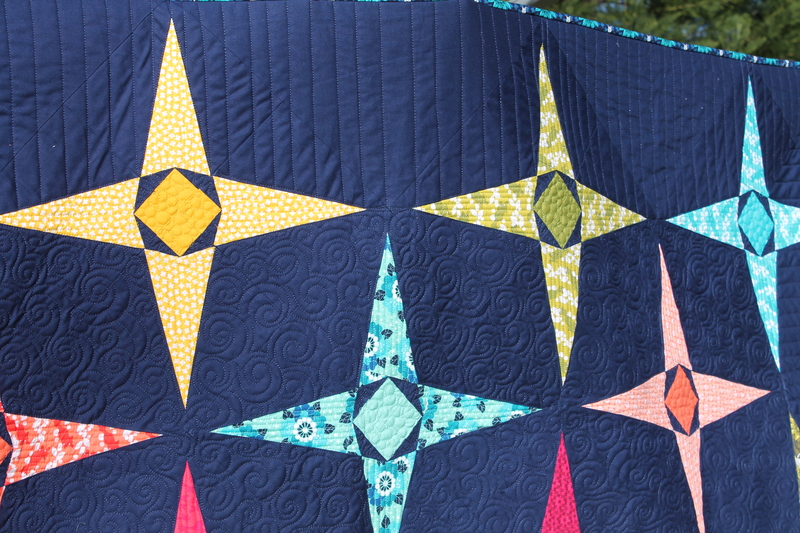 I changed thread for each color of stars (a lot of winding the quilt top back and forth for that!) and quited some dense straight lines in the star points and then some pebbles in the center solids for texture. The background I went with a freemotion swirl between the stars to represent the motion of the night sky, clouds and wind. 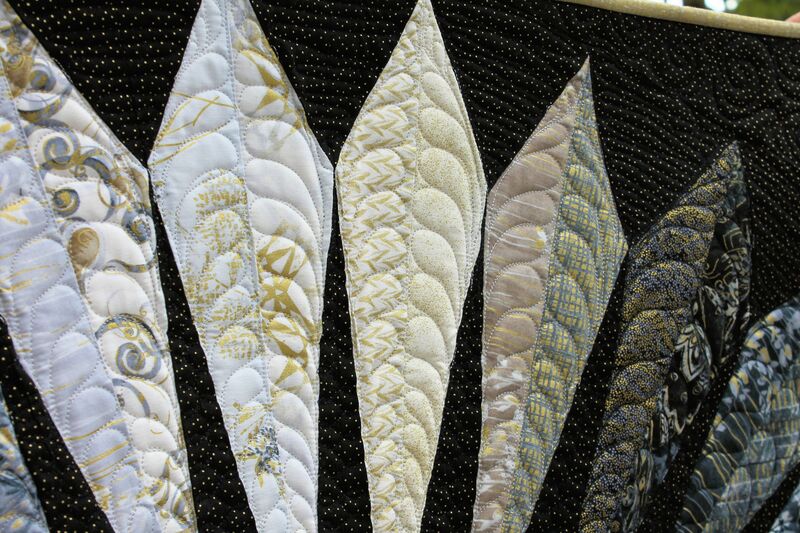 Then I chose an elongated piano key for the outside edge, giving the quilt a faux border and adding some additional visual texture and interest in the solid background. 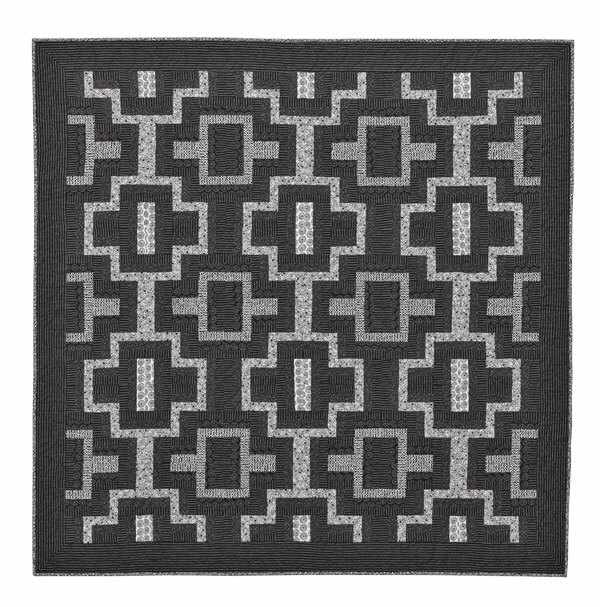 This is why I have a love/hate with solids, because you can have some amazing quilting stand out but you need amazing quilting because it will stand out. Makes total sense, yes?